Open seven days we offer relaxed and informal bistro style dining in a range of beautiful rooms. Our food policy is to offer really high quality, seasonal and local food at a reasonable price. 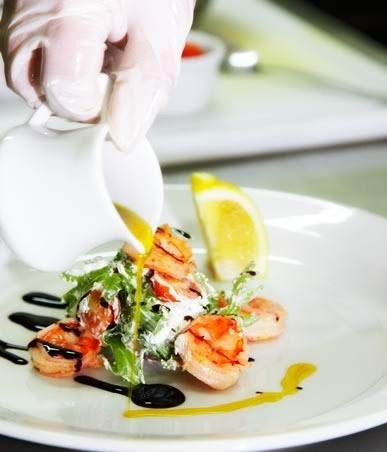 When you dine with us you can expect a wide range of mouth-watering dishes expertly prepared by our team of chefs headed by our Head Chef ‘Michael Robinson’. Our core menu is changed 4 times a year to match seasonal produce and availability, our range of ‘Specials’ alter daily. Snacks are usually available outside these times. On Sunday’s we offer a reduced menu that offers a choice of two roast dinners, served from 12.00noon until 8.00pm. Please note that we close early on a Sunday during January and February. For larger parties (12+ guests) we can prepare specific menus on any day (pre-orders may be required, please ask). Private dining areas are also available on request. We cater for most dietary requirements, and our kitchen is always delighted to help with specific requests. Our bistro can get particularly busy in the evenings and at weekends, therefore we do always suggest booking in advance, although this is by no means always necessary and walk-ins will always be accommodated where possible!